This updated, well maintained home has much to offer! The gleaming 3/4 inch hardwood flring throughout & Tile Kitch/Dining sets it all off! The Family Rm feat Int French Drs & cust plantation shutters! The Kitchen, Custom Cabs, Cust Tiled C-Tops/Backsplash, upgr Stainless Appl, & Dining Area are exquisite! Off the Dining Area is a covered Deck w/Tile Flring & Priv Blinds! All BR's are Hardwood & feat plantation shutters! The Master BR feat a gorgeous heated/cooled Sunroom, which creates a MBR Suite you have to see! The bsmnt feat a spacious rm w/built in shelves, gas stove, & tiled flrs! Like to entertain outdoors? The Completely Covered Outdoor Kitchen has it all w/built-in sink & firepit! 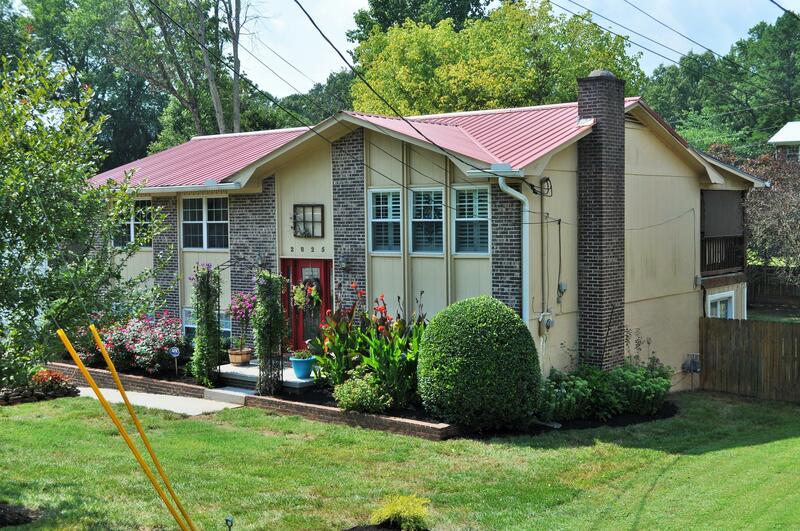 In addition, a huge 3rd Garage/Workshop & 50 Yr Metal Roof give this home all you need! A Must See!